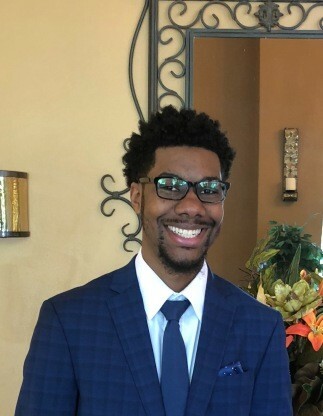 Tyrique Jamal "T.J." Hudson, 22, of 179 Virginia Lane, Glen Burnie, MD, formerly of Wilson, NC passed away on Monday, April 15, 2019 in Glen Burnie, MD. The funeral service is scheduled for Saturday, April 27, 2019 at 11:00 a.m. at Contending for the Faith Church, 1006 Academy Street, Wilson, NC. Dr. Dameion Royal will officiate and the burial will follow in Rest Haven Cemetery, Lane Street Ext., Wilson, NC. A public viewing is scheduled for Friday, April 26, 2019 from 1:00 to 6:00 p.m. at Stevens Funeral Home, 1820 Martin Luther King Jr. Pkwy., Wilson, NC. T.J. is survived by: his parents, Minister Tonya T. Burch of Wilson and Tyrone Hudson (Tonya) of Wilson; one sister, Rianna Hudson of Wilson; one brother, Shemar Hudson of Wilson; his grandparents, Dorthine Sharpe (Dennis) and Jerome Lucas (Brenda), all of Wilson; his great grandparents, Doris Murchinson and Virginia Dupree (Sylvester), all of Wilson; nine uncles, Leroy Sharpe (Ericka), Ronnie Taylor, Theodore Richardson (Patricia), Walter Richardson (Linda), and Rodney Richardson (Minister Katie), all of Wilson, Reginald Burch of Merced, CA, Ronnie Coley of Kenly, Wardell Richardson (Natasha) of VA and James Richardson (Doris) of Fountain, NC; nine aunts, Letisa Hudson, La'Keisha Lucas, Eva Mae Boykin, Vanzeline Jackson (Calvin), Brenda Richardson, Jean Davis (James) and Lennese Barnes (Vernell), all of Wilson, Anema Coley of Kenly and Damika Hall Brown of Atlanta, GA; two great aunts, Minister Donna Burch Best (Curtis) and Lisa Dupree, both of Wilson; ten great uncles, Frederick Murchison (Terry), Terry Murchinson (Felecia), Gary Murchinson, David Earl Burch, Larry Sharpe, Dwight Dupree and Preston Dupree, all of Wilson, Willie Murchison of PA, Benjamin Burch (Mary) of SC and Sylvester Dupree of Raleigh, NC; a host of cousins, other relatives and friends including a special cousin, Ranzell Bassa of Wilson and two special college friends, Sterling Mason and Kinston DeShon Brasher, both of VA. Arrangements are being handled by Stevens Funeral Home, 1820 Martin Luther King Jr, Pkwy., Wilson, NC. Condolences may be posted at stevensfuneralhome3@gmail.com or faxed to 252-991-5849. "God is our refuge and strength, an ever-present help in trouble"